In 1966, Congress passed the Laboratory Animal Welfare Act (P.L. 89-54) to prevent pets from being stolen for sale to research laboratories, and to regulate the humane care and handling of dogs, cats, and other laboratory animals. The law was amended in 1970, changing the name to the Animal Welfare Act (AWA). The AWA is administered by the U.S. Department of Agriculture’s Animal and Plant Health Inspection Service. Congress periodically has amended the act to strengthen enforcement, expand coverage to more animals and activities, or curtail practices viewed as cruel, among other things. A 1976 amendment added Section 26 to the AWA, making illegal several activities that contributed to animal fighting. Farm animals are not covered by the AWA. 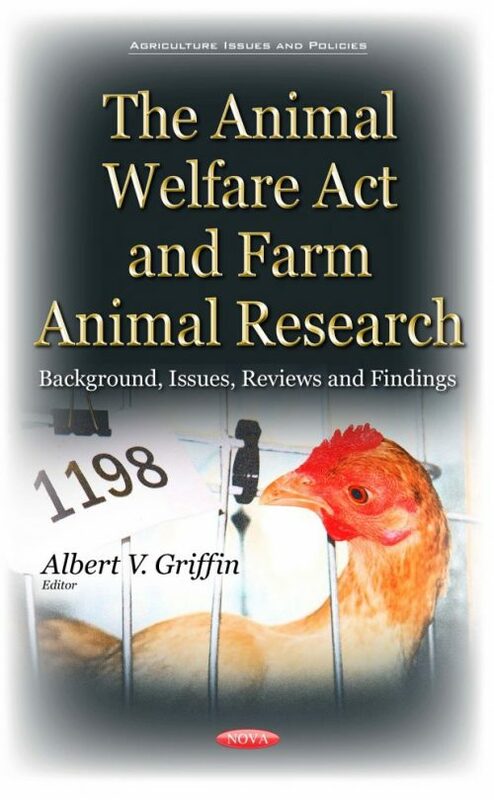 This book provides a background on the AWA and discusses selected animal welfare legislation. It also reviews farm animal research, the Meat Animal Research Center, and the Animal Welfare Action Plan.